Great for both cutting and embossing, the Couture Creations GoCut and Emboss Machine can be used for scrapbooking, card making and quilting. Portable and easy to use, this superior quality machine makes a great choice for both beginners and experienced paper crafters. Use it with your favourite Ultimate Crafts embossing folders, thin dies or Quilt Essential Dies (sold separately). 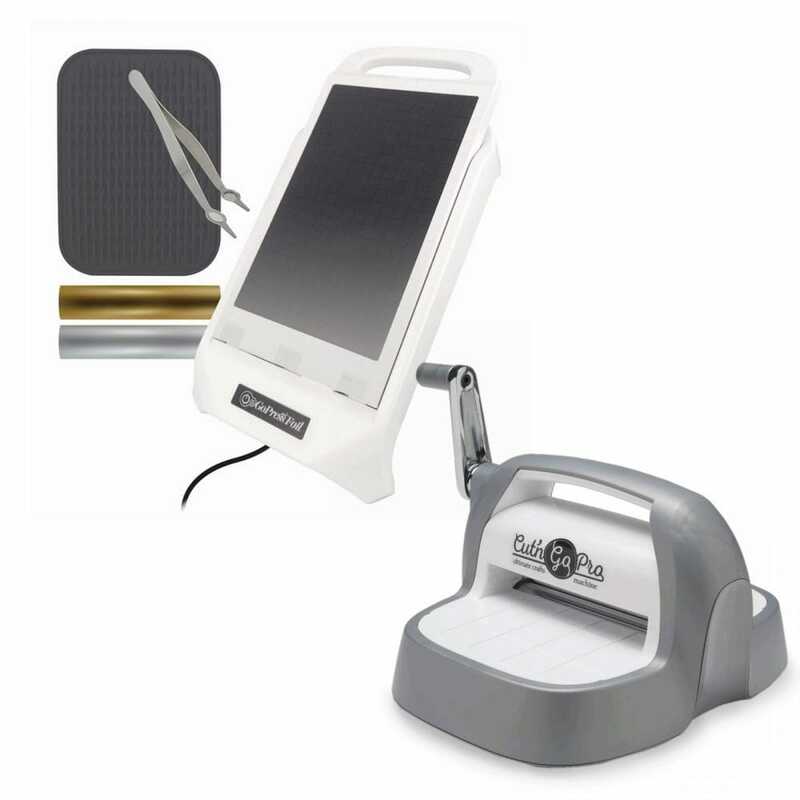 This pack includes an embossing machine, as well as plates and a handle kit. The GoPress and Foil machine is an amazing innovation ready to create a myriad of stunning new projects. The machine is the most flexible and unique solution for creating unforgettable invitations, cards and crafts projects. The machine works with a myriad of materials, from leather, thin textiles and chipboard to cardstock, ribbon and paper making it the most flexible solution available today for creating unique foiling and letterpress effects. The machine has a heating unit that warms to 90 degrees. Contents: The GoPress and Foil machine comes with a stable base (with localised power connector), heating platform, heat resistant silicon mat, pick’n lift 3 in 1 magic tool and a heat activated foil sampler pack.